On New Year's Day, 2019, Navy engineer David A. Tonn received his twenty-eighth U.S. patent, according to the U.S. Patent and Trademark Office. Slotted antennas are commonly used in telecommunication towers and television broadcast antennas. Unlike a standard antenna, the slots allow the antenna to be pointed in a particular direction. The Navy uses these types of antennas for radar applications and communicating with towed sonar buoys. Until now, slotted cylinder antennas have been limited by what's called a cutoff frequency, beyond which the antenna effectively shorts out. Tonn's work has successfully given cylinder slot antennas the ability to also act as a monopole antenna beyond the cutoff frequency by "floating" the antenna above the ground plane with a capacitor. 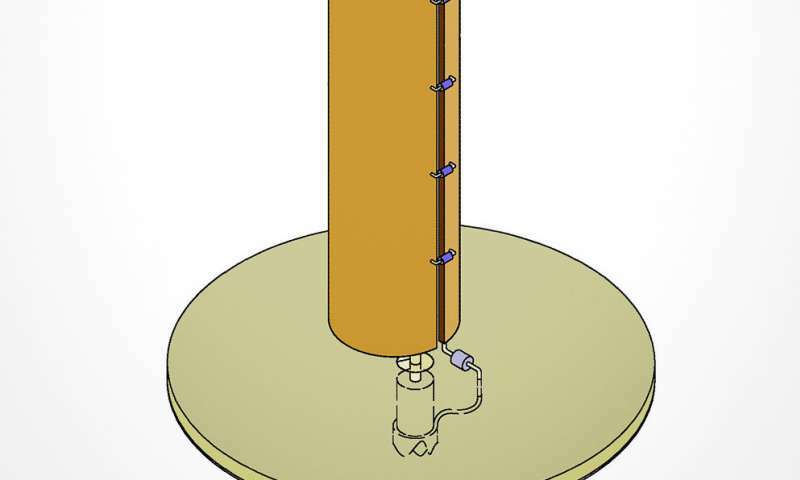 Tonn, an expert in maritime antennas at the Naval Undersea Warfare Center, tested his design using a 12-inch copper prototype, but the patent notes that it "can be scaled to other portions of the RF spectrum, making it useful in the realm of commercial communications, e.g., digital television, cellular telephone service, etc." Businesses that want to bring the antenna to market can now acquire it by applying for a patent license from the Navy. Under the business-friendly umbrella of technology transfer, patent license agreements allow federal laboratories to assign their intellectual property rights to a business or entrepreneur and facilitate access to inventors and technical data. TechLink, a nonprofit organization that specializes in federal technology transfer, helps companies prepare a commercialization plan and patent license application at no charge. Since 1999, TechLink has helped hundreds of companies, large and small, realize commercial success with federal inventions through the development of new and improved products and services.